This past fall, we wrote about a copyright-infringement lawsuit by the estate of artist Dash Snow against McDonald’s over the fast-food chain’s use of Snow’s graffiti art as part of the décor for some of its restaurants. 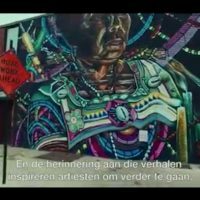 In April, another group of graffiti artists sent a demand letter to McDonald’s, this time threatening legal action in connection with a promotional video produced by McDonald’s to advertise a new product in the Netherlands. This dispute is yet another example of the curious place that graffiti art occupies in the copyright arena. It’s possible that a future lawsuit filed by these artists might face a preliminary legal hurdle due to the fact that the allegedly infringing ad was focused on McDonald’s market in the Netherlands. Along these lines, the lawsuit by Dash Snow’s estate was dismissed by a California federal court this January on jurisdiction and venue grounds; a judge ruled that a California court should not decide the case, given that the allegedly infringing décor was only used in McDonald’s restaurants located abroad, and there was no California connection to the creation or approval of the disputed décor. See Case No. 16-cv-07394 (C.D. Cal.) (Docket No. 28). Likewise, a previous case by graffiti artist “Norm” regarding McDonald’s use of a New York work in some of McDonald’s non-U.S. locations was voluntarily dismissed after a judge questioned why the case should not instead be heard in New York or overseas. Here, however, there appears to be a clearer connection to New York in that both the artist’s original works and the allegedly infringing video were created here, arguably making a stronger case that a New York court should exercise jurisdiction over this potential litigation. As we’ve noted before, the last few years have seen a trend in consumer brands using graffiti art as part of promotional or branding efforts—and graffiti artists responding by defending their copyrights in those works, often alleging that these large corporations are copying the work of graffiti artists to enhance their “street cred” or associate themselves with an “edgy” art form, all without seeking the permission of the artists or compensating them in any way. (And this phenomenon is by no means limited to the United States, as seen in one recent article about the similar issues arising in the U.K.). It may be that some of the corporations engaging in this type of copying are under the erroneous impression that graffiti art is somehow free for the taking simply because it’s on public display. But graffiti art, like any other work of visual art, is likely protected by copyright as long as it meets the basic statutory requirements under federal copyright law, such as that the work must be sufficiently original, and that it must be fixed in a tangible medium of expression. These are generally not high bars to clear, legally speaking. Moreover, while it might be argued that illegally created graffiti (i.e., works created through vandalism, without the permission of the owners of the property on which they are painted) should not be protected, that argument wouldn’t help McDonald’s here; the video apparently contains text stating that all the works depicted were created with the permission of the property owners who own the buildings on which the works appear. It may also be that some corporations are willing to gamble that a graffiti artist will not bother to defend his or her copyright. But the rise in copyright claims by graffiti artists, tattoo artists, and other such independent artists should be a warning that this type of gamble increasingly comes at a price, both in terms of litigation and negative publicity, that should prompt companies to proceed with caution when it comes to using an independent artist’s work without permission.